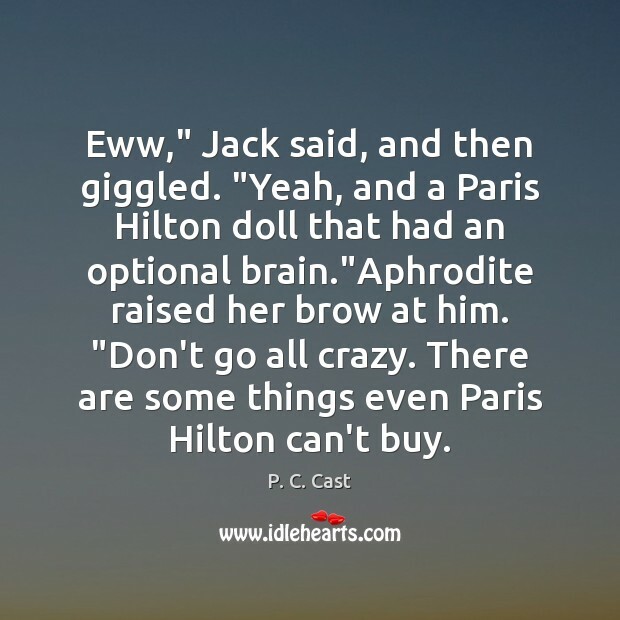 Quotations about Aphrodite. Quotes to stimulate mind and drive action! Use the words and quote images to feed your brain inspiring things daily! 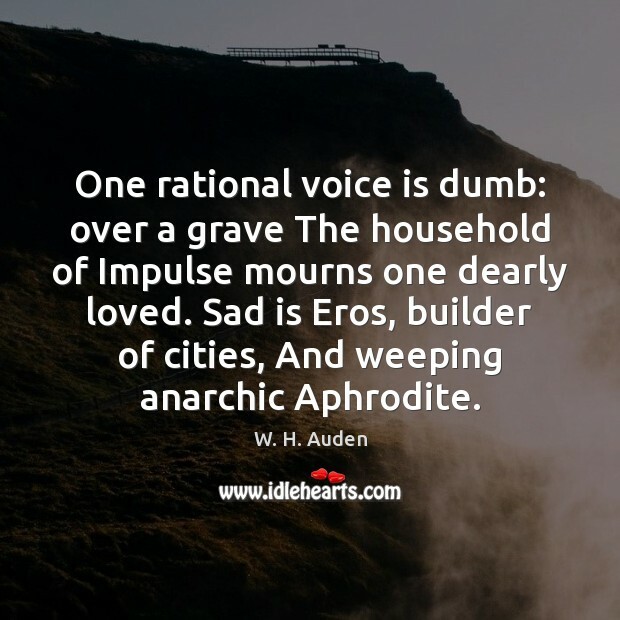 One rational voice is dumb: over a grave The household of Impulse mourns one dearly loved. Sad is Eros, builder of cities, And weeping anarchic Aphrodite. 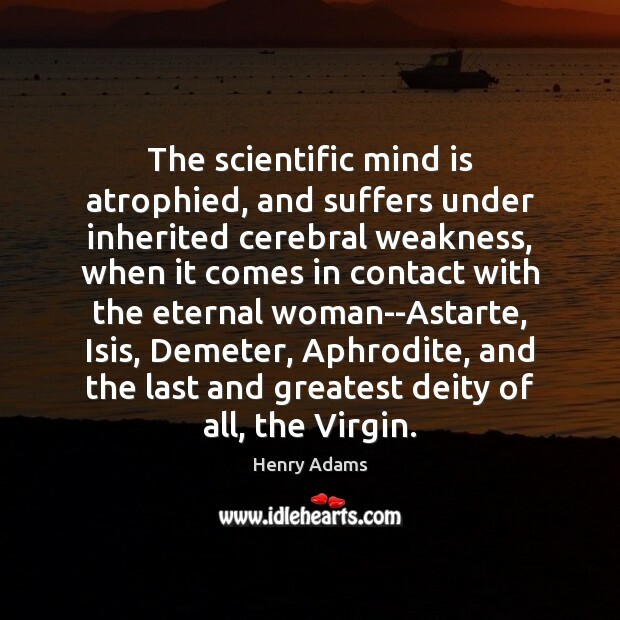 The scientific mind is atrophied, and suffers under inherited cerebral weakness, when it comes in contact with the eternal woman--Astarte, Isis, Demeter, Aphrodite, and the last and greatest deity of all, the Virgin. 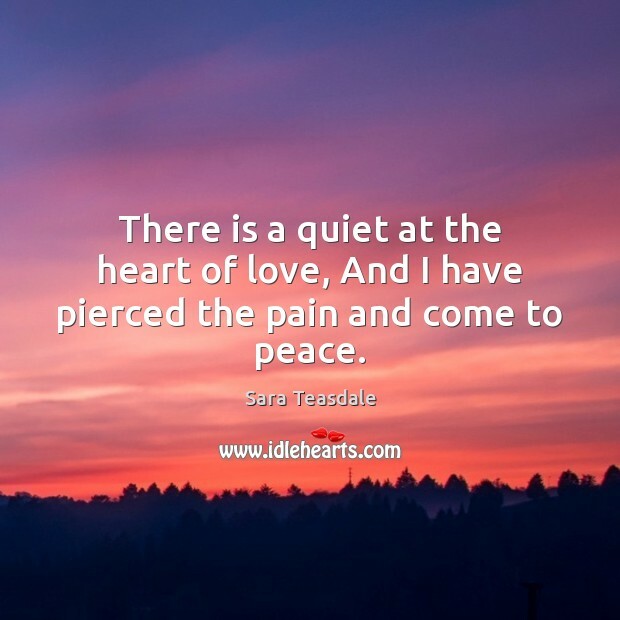 There is a quiet at the heart of love, And I have pierced the pain and come to peace. 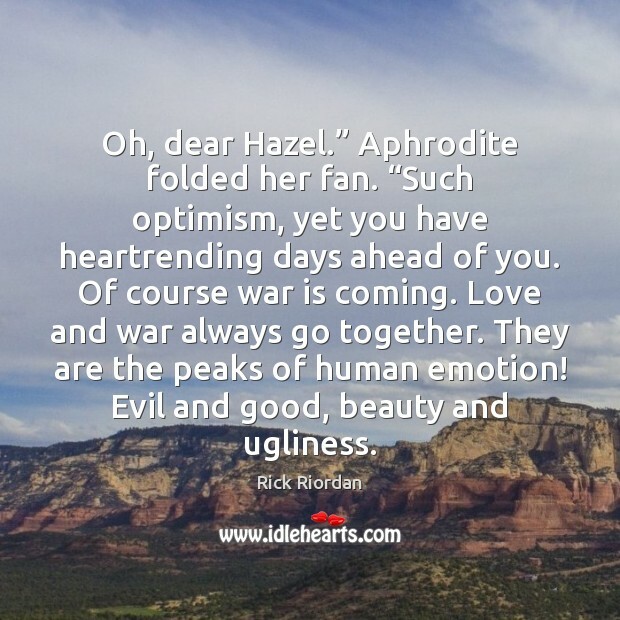 Oh, dear Hazel.” Aphrodite folded her fan. “Such optimism, yet you have heartrending days ahead of you. Of course war is coming. Love and war always go together. They are the peaks of human emotion! Evil and good, beauty and ugliness. 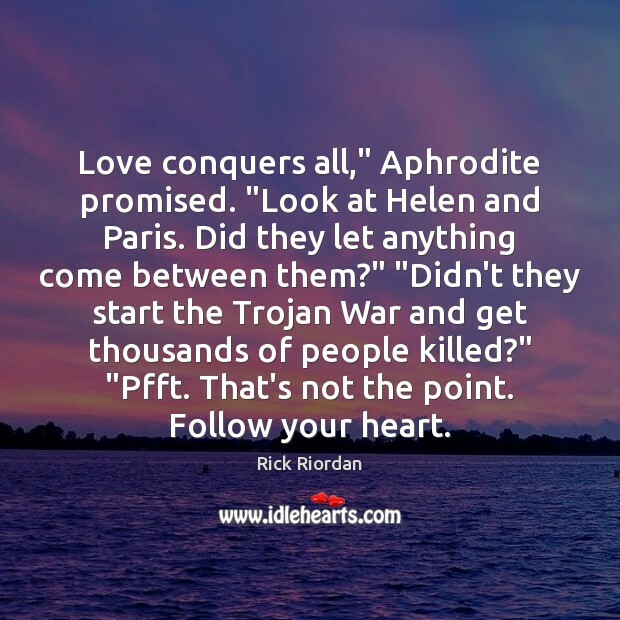 Love conquers all," Aphrodite promised. "Look at Helen and Paris. Did they let anything come between them?" "Didn't they start the Trojan War and get thousands of people killed?" "Pfft. That's not the point. Follow your heart. 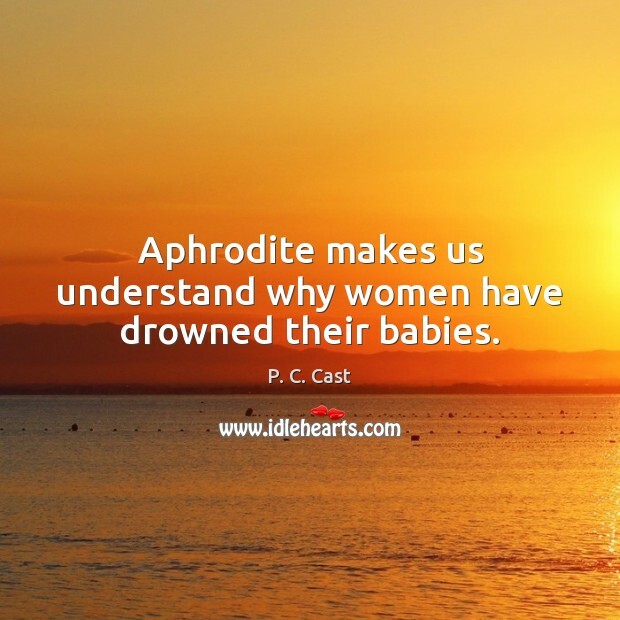 Aphrodite makes us understand why women have drowned their babies. It’s not important,” Silena insisted. 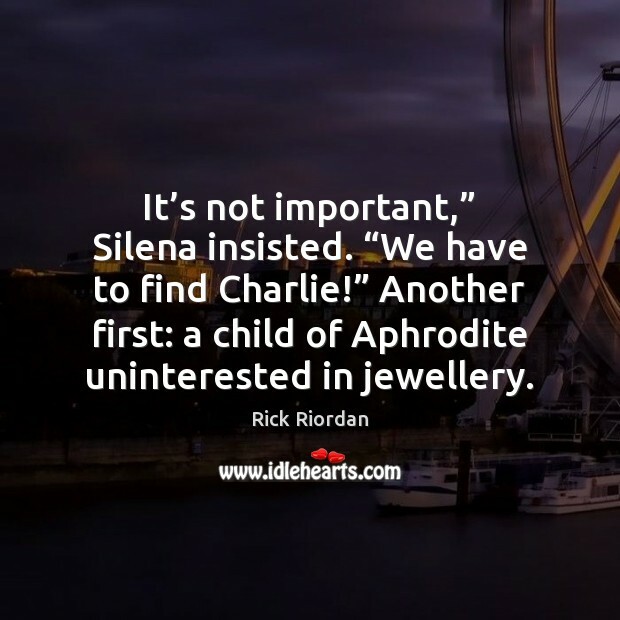 “We have to find Charlie!” Another first: a child of Aphrodite uninterested in jewellery. Wonderful, Annabeth thought. Her own mother, the most levelheaded Olympian, was reduced to a raving, vicious scatterbrain in a subway station. And, of all the gods who might help them, the only ones not affected by the Greek-Roman schism seemed to be Aphrodite, Nemesis and Dionysus. Love, revenge, wine. Very helpful. 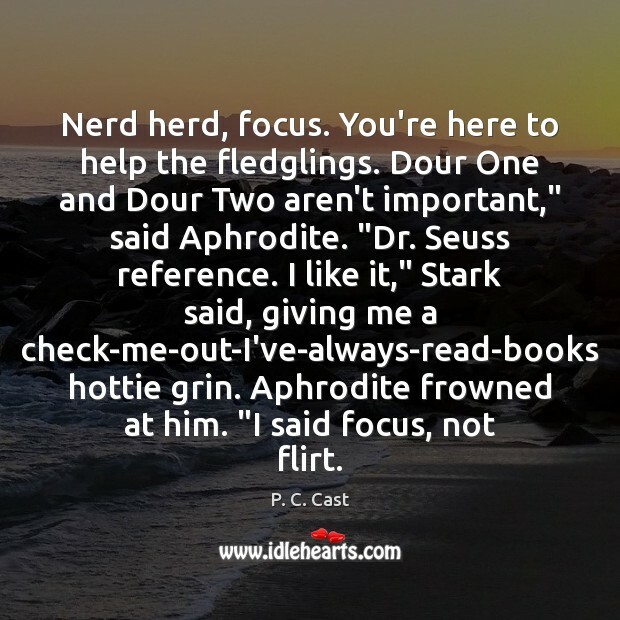 Aphrodite," she said. "Venus?" Hazel asked in amazement. 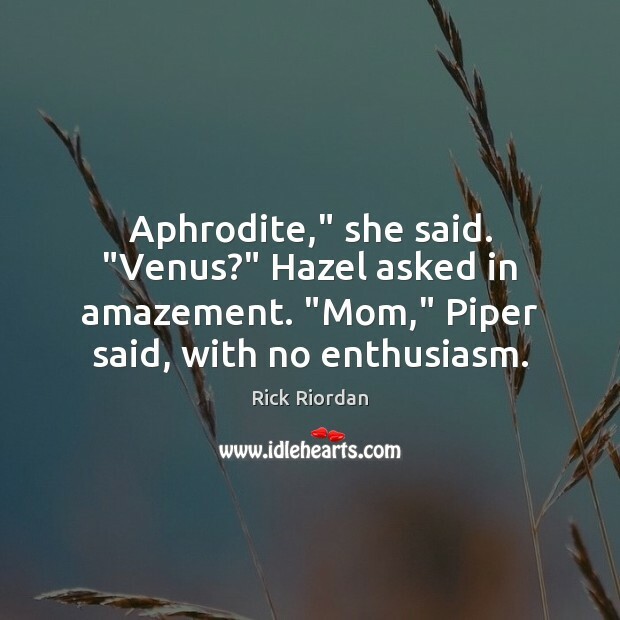 "Mom," Piper said, with no enthusiasm. 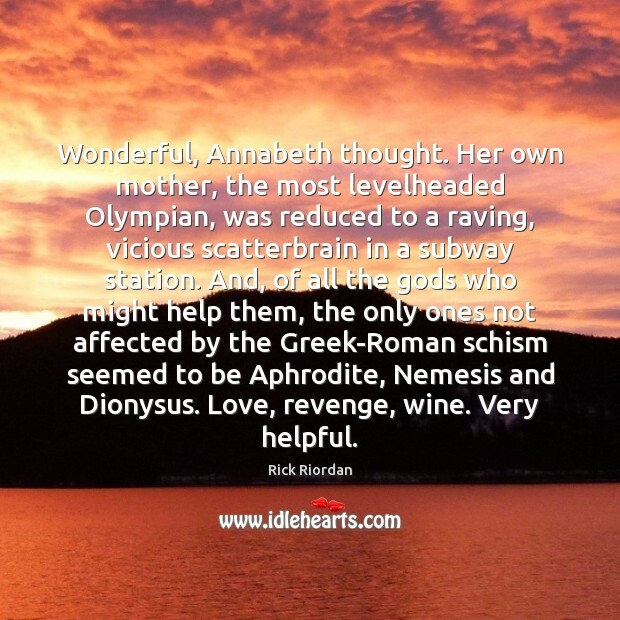 Aphrodite,” [Annabeth] said. “Venus?” Hazel asked in amazement. “Mom,” Piper said with no enthusiasm. 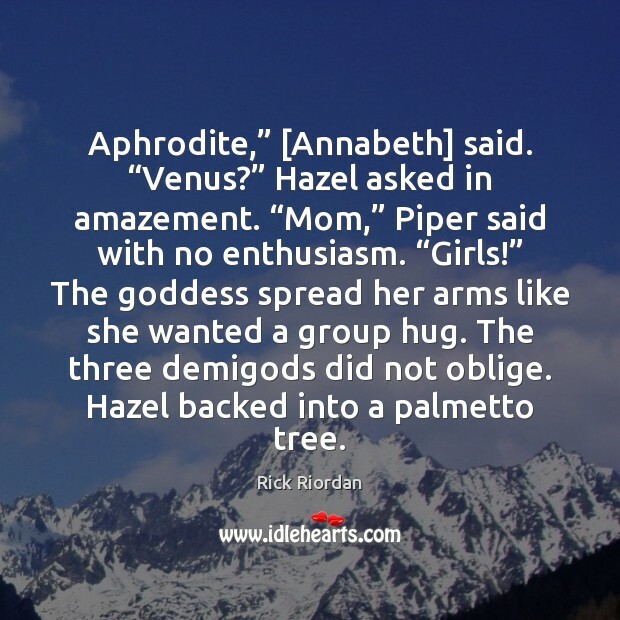 “Girls!” The goddess spread her arms like she wanted a group hug. The three demigods did not oblige. Hazel backed into a palmetto tree. Aphrodite had the beauty; Zeus had the thunderbolts. 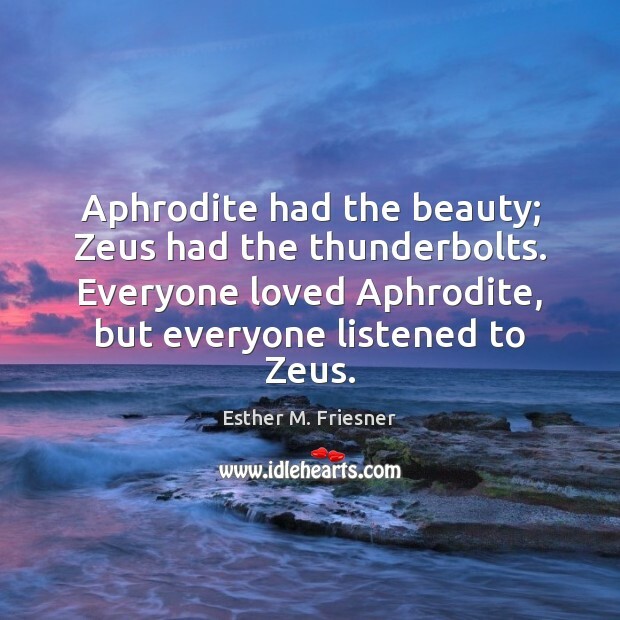 Everyone loved Aphrodite, but everyone listened to Zeus. 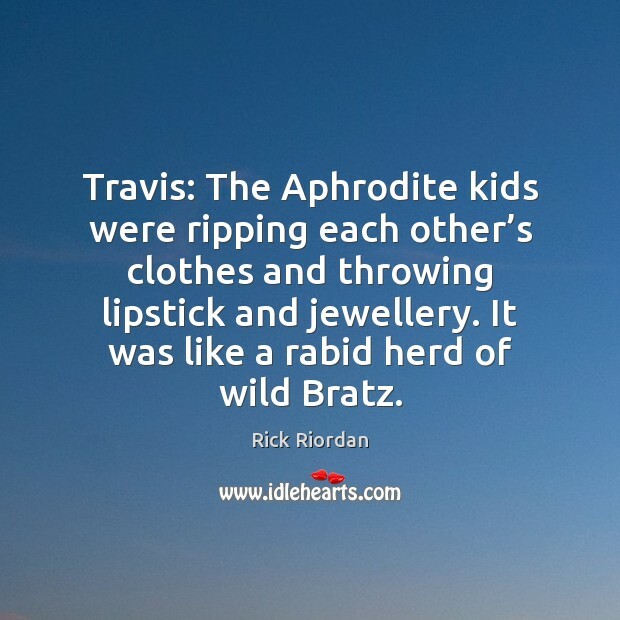 Travis: The Aphrodite kids were ripping each other’s clothes and throwing lipstick and jewellery. It was like a rabid herd of wild Bratz. What if all I'd ever known was how it had been for the past three years - me being an unwanted outsider in my own family? 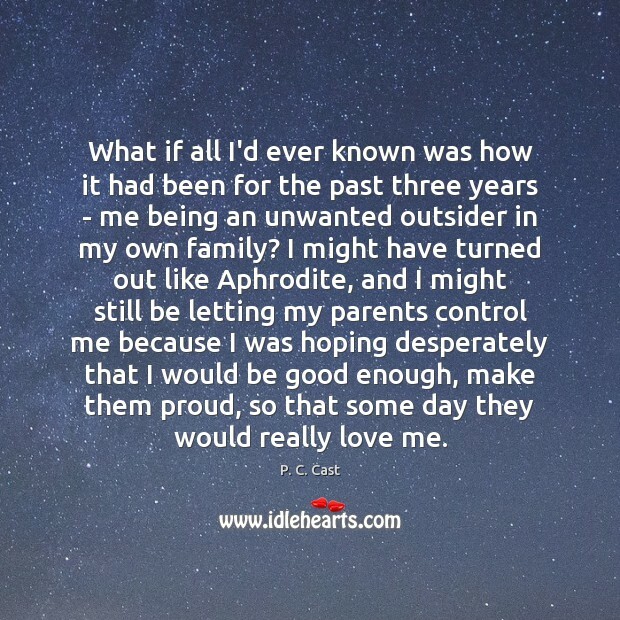 I might have turned out like Aphrodite, and I might still be letting my parents control me because I was hoping desperately that I would be good enough, make them proud, so that some day they would really love me. I had a really small role (playing goddess Aphrodite), and I was only working for just over a week with Ralph Fiennes and Liam Neeson. I'd done a few short films before and thought acting was really creative, but when I worked with those guys, I was just like: "Wow!" They had such fun and freedom. They were trying things and stretching themselves. It was so inspiring that I was like: "I definitely want to do this!"